Ovington is a small village situated in the Breckland area of Norfolk, approximately I mile north of the market town of Watton. It contains 43 properties lived in by 200 people. In spite of its small size, it is a very active village and even has an allotment site as well. Most activities are situated around the Village Hall and the Church. Also located in this area the bottle and clothing banks to cater for local recycling. We hope you enjoy finding out about Ovington and please feel free to come and take part in our activities. 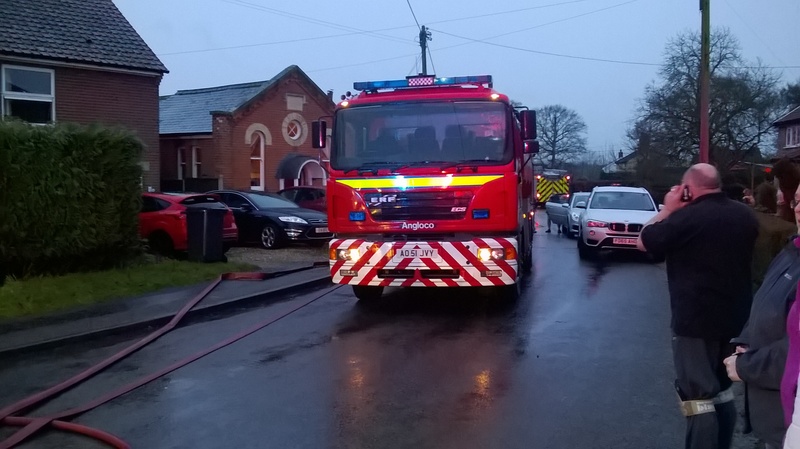 Ovington Village Hall is located at the north end of Church Road..
On 12th January at about 3.30 pm a fire started at 11 The Street, when a shed and fuel tank caught fire behind the house. The first Fire Brigade arrived swiftly and within an hour Fire Engines from Watton, Dereham, Hethersett, Sprowston, Thetford, and a water bowser, together with the Police, all arrived. The fire hydrant opposite the fire proved inadequate, with low water pressure and the one in Church Road was used, as well as one on the Watton road to refill the bowser. The Street, Church Road and Carbrooke Road were closed to traffic. As the blaze developed, No 9 had to be evacuated. The three dogs there were brought out and a search was made for the 5 cats in the house. Sadly one was brought out unconscious, in her basket, but in spite of valiant efforts by the fire brigade to revive Pickle, she died from the effects of the smoke, which was very intense. By 7.00 pm the fire had been stopped and the damage could be seen. The shed was completely burnt out and there was damage to the main house as well as the roof next door. In addition, a car was also badly damaged. The final result is such that No 11 cannot be used for about 6 months and No 9 has suffered both smoke and structural damage. Our sympathies go out to Mat and Jane and family in No 11 and Sara and Graham in No 9 and their cats and dogs. Church Repair funding - Success! The progress of this key project will be recorded on this web site so go here for more details and an update. After much lobbying by the Parish Council, speed restriction signs have now been set up on the main road around the famous Ovington Bends. In addition, two new official bus stops have appeared near the cross roads, for those wanting to go to Watton, Dereham, or anywhere else in the world. 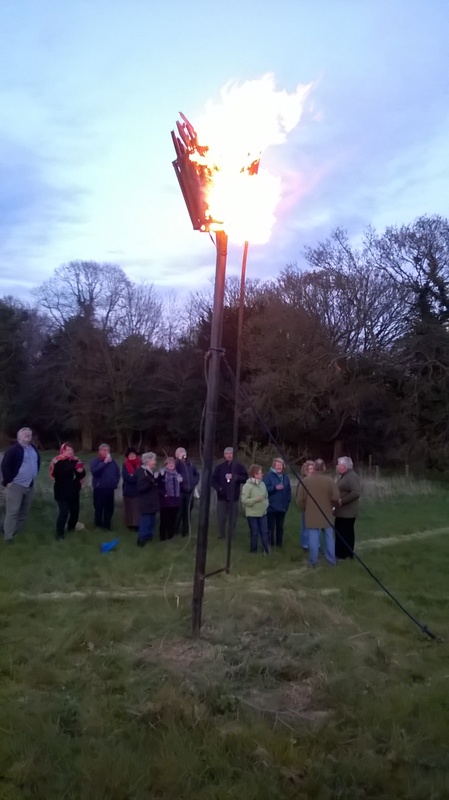 of a strong wind, the fire was lit successfully.